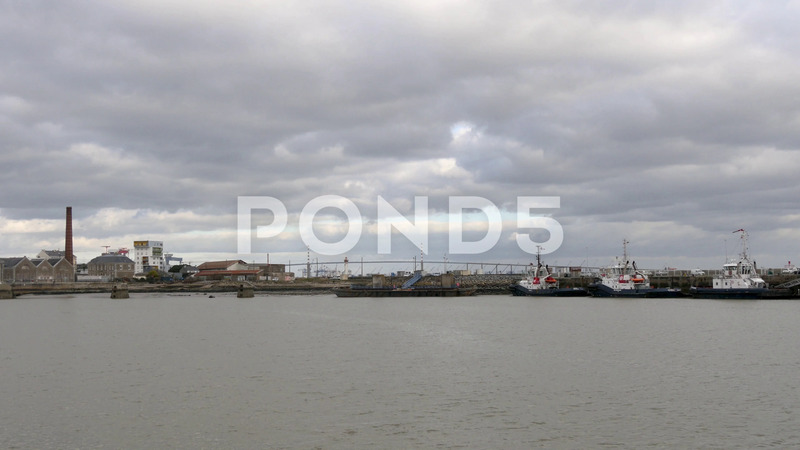 City Port Of Saint-Nazaire, France. Description: View of the town of Saint-Nazaire, in the west of France, in the Loire Atlantique region. Port of shipbuilding in France, industrial city. Cloudy sky. Filmed in the winter.